This was the first solo dance I recorded in a year. I mostly choreographed this in my head, so the execution was a little messy, but it just goes to show that all you need is inspiration and belief in yourself to make your ideas come to life. After moving to Seattle, I met Rinu, an amazingly talented dancer and choreographer. We decided to collab on this song to celebrate our love of dance! This is a piece I choreographed and performed at the Miss Bollywood 2016 Pageant. I also won first place in the solo category at the Jalwa Talent Show in 2017. It combines many of the skills and techniques I had learned throughout my time on the college fusion team, and serves as a tribute to all those who have taught and inspired me through dance. It really is beginning to seem like I can't go anywhere without teaching people how to dance. At my second and final summer internship with Microsoft, I hosted a much requested Bollywood Dance workshop through the internal dance organization. The overwhelming majority of the group wanted to learn a routine to "Kala Chashma," the recently released song from the movie Baar Baar Dekho, starring Siddharth Malhotra and Katrina Kaif. Our end-of-workshop video was picked up by Bollyshake.com, quickly going viral. 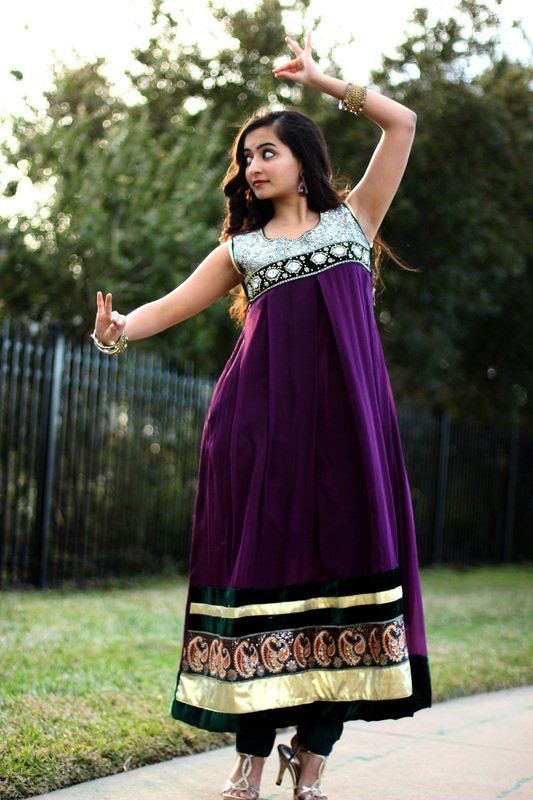 ​I love sharing my culture through dance, and it's even more rewarding when people are so receptive to it! As part of our study abroad trip, we visited KLE University in Belagavi, India and participated in their Technology Conference. We also performed a Bollywood routine for their cultural night! The rest of the students were so excited and dedicated to learning this dance, it was crazy! I was getting borderline emotional watching them practice on their own in their rooms or even begin singing along to the song while they danced! We even went shopping for matching kurtas! This video is actually of the encore the audience resoundingly demanded and wanted to join in on! I'm so proud to have been able to share this part of me with the rest of the Study Abroad team and show India how Aggies do Bollywood! Akh Mastani's 2016 Spring Competition Routine. I held the position of Junior Captain this season. We won Fan Favorite at Texas A&M Sangam, 2nd place at OU India Nite, and 3rd place at UTSA/Trinity Sitara. The first performance of Texas A&M's Bollywood Dance Team, Akh Mastani, that I organized. I have been chosen to be a Junior Captain for the upcoming year. Dhating Naach, which I choreographed for Bollywood Shake, performed at their Ms. Bollywood Pageant, featuring Preity Zinta as a guest judge. During my freshman year of high school, I was on the Drill Team. Until this point, I had only learned Bollywood dance. Joining this team gave me the opportunity to grow as a dancer, learning jazz, pom, hip hop, and high kick. This piece is our finale from our Spring Show; a high kick routine to the song Firework by Katy Perry.